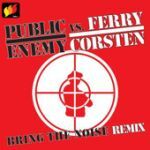 Benny Benassi Pump-Kin Remix 6:37 Serious Beats 56 541 / N.E.W.S. So Whatcha Gonna Do Now? 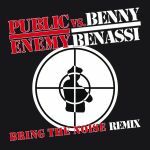 viel besser ist die version gemeinsam mit Anthrax..
Benny Benassi knows how to make Electro music, and this remix is not the exception.<br><br>The new album Rock 'N' Rave is awesome too.